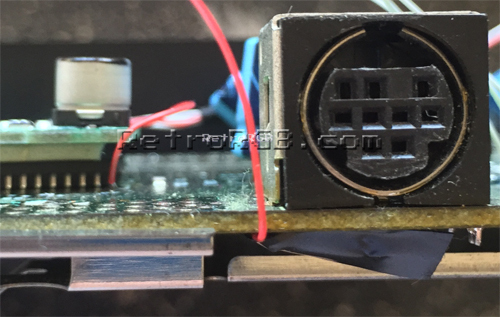 Genesis / Mega Drive 2 consoles do not require a modification for RGB-output, simply a cable. 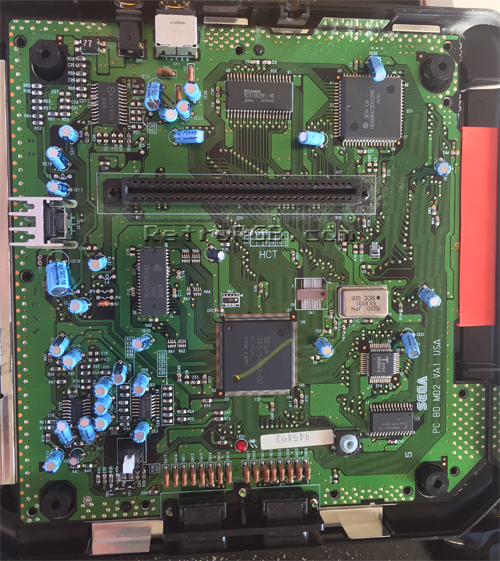 This page is an “experts-only” page that shows how to bypass the Genesis’ internal RGB amp with a different one. All details are below, but this mod requires you to make irreversible modifications to your Genesis system. Beginner and intermediate modders should not try this mod! 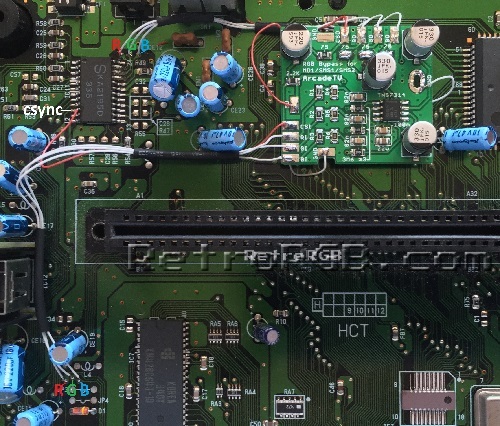 Please make sure to read the main Genesis RGB Bypass page before proceeding to make sure that this mod is something you’d really like to try!!! You must read the sections about sync requirements and RGB cables, as it might change the way you approach this mod!!! 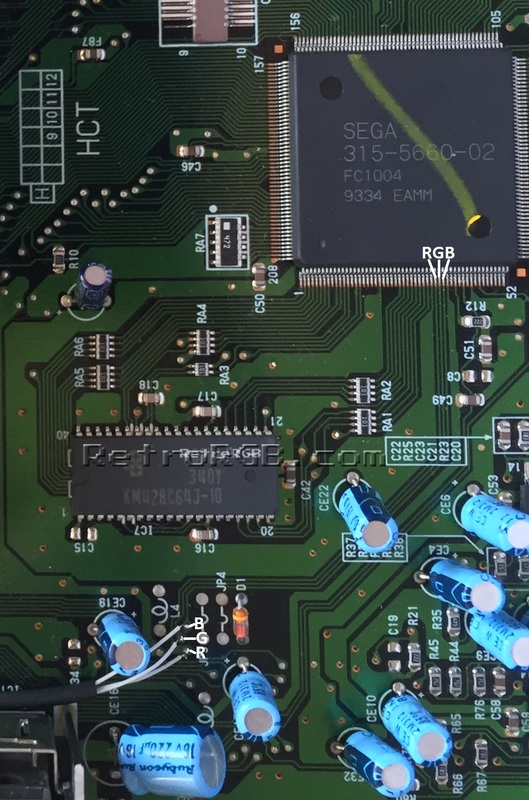 Also, there are many different revision Genesis / Mega Drive 2’s and each will look different inside. The model shown in this guide is a North American VA1 system and while the basic ideas are the same in all consoles, each mounting location and RGB points will be different. Use these instructions as a basic guide, but you’ll need to double check each detail on your console. 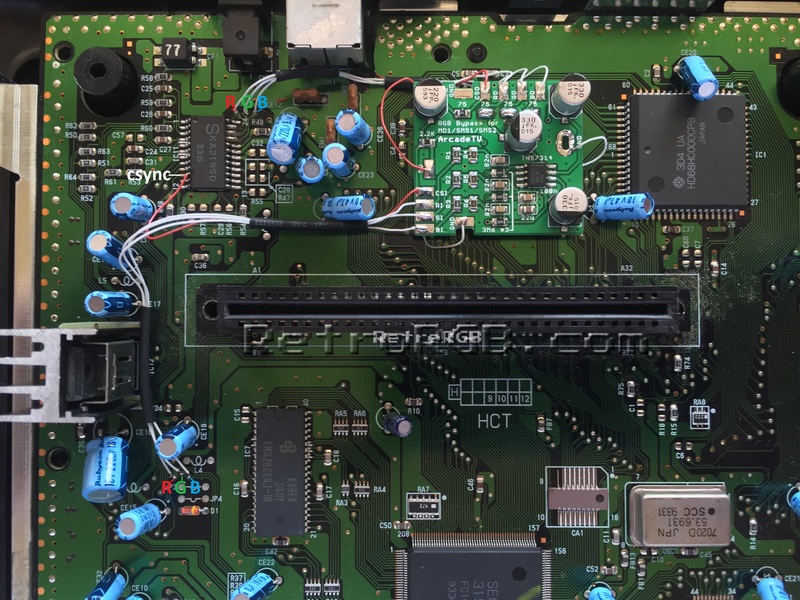 Completely disassemble the console and as you’re taking it apart, pay attention to potential mounting locations for the bypass board, that are clear and free of all components. I found the Toshiba chip near the multi-out to be perfect for this. After that, trim wires to length and connect the inputs and outputs of the bypass board. 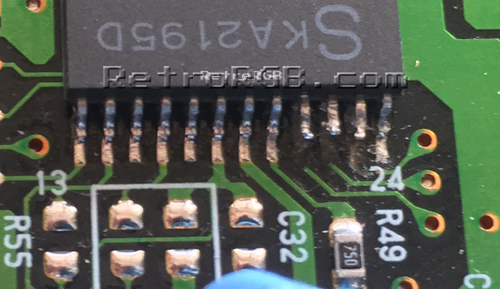 You’ll also want to get csync from pin 10 of the CXA chip, assuming you didn’t cut any pins. 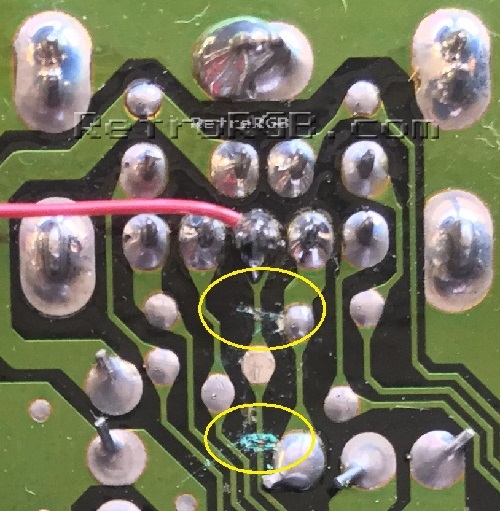 I found it much easier to solder RGB-out from the bypass board to via’s I found on the motherboard. 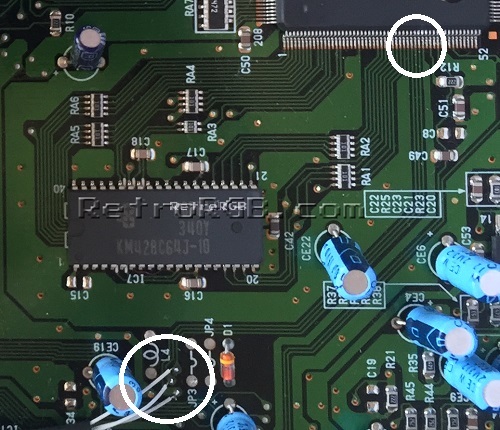 If your revision doesn’t have those via’s, you’ll need to solder directly to the multi-out pins on the bottom of the motherboard. Now, just re-assemble the entire console and make sure none of the wires are pinched by any of the shielding or plastic cover. – If you’re still getting any kind of jailbars or screen noise after performing this mod, there’s some kind of interference. 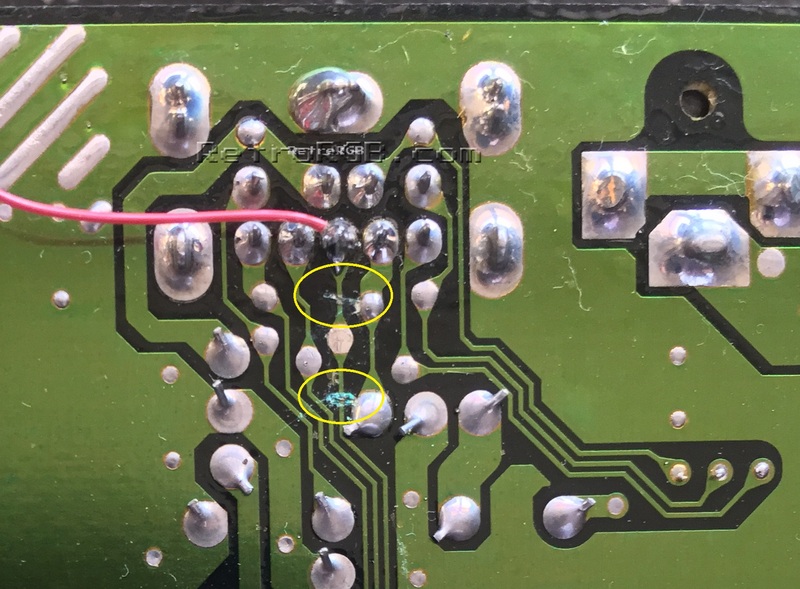 You can try using shielded cable for the mod, but on some model Genesis systems, there’s just too much interference on the board itself. 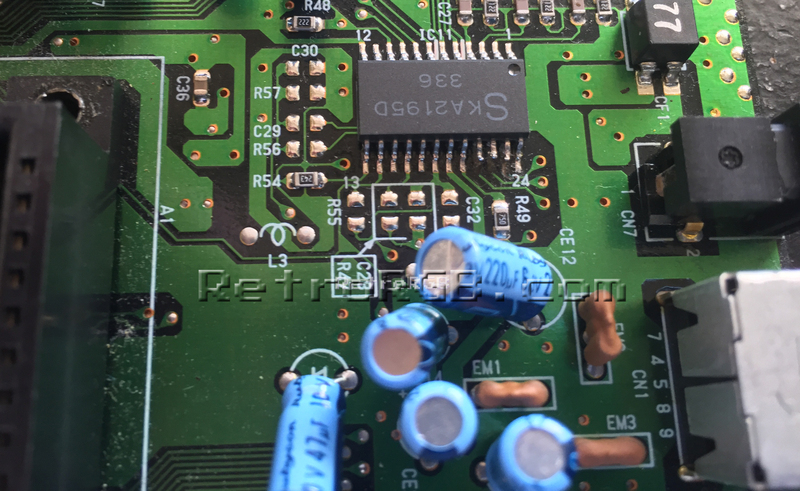 In this case, I’ve lifted the RGBs pins from the Sega 315-5660-02 and connected them directly to the bypass board. This is an irreversible modification that should only be done if all other options have failed! 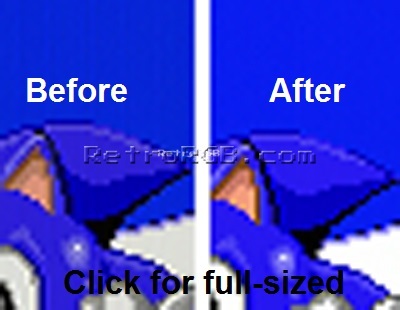 Also, doing this will disable composite video, or S-Video (if you’ve done that mod too). I’d only do this as a last-resort option.